The best opportunity to control multiple myeloma long-term is determining how to optimize treatment upfront, explained Kenneth H. Shain, MD, PhD. He added that although exciting data have been presented on new triplet and quadruplet regimens and chimeric antigen receptor (CAR) T-cell therapy, a staple approach in newly disease remains lenalidomide (Revlimid), bortezomib (Velcade), and dexamethasone (RVd). 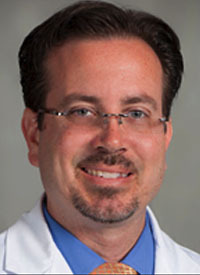 Data from the single-arm phase II MMRC trial showed deep responses in patients given induction therapy with carfilzomib (Kyprolis), lenalidomide, and dexamethasone (KRd), though Shain said it is too early to replace bortezomib with carfilzomib in practice.1 Therefore, physicians eagerly await the results of the ECOG E1A11 trial (NCT01863550), an ongoing head-to-head comparison of RVd versus KRd in newly diagnosed disease. More recently, the FORTE trial presented at the 2018 European Hematology Association (EHA) Congress showed that KRd may represent a new standard of care for patients with newly diagnosed multiple myeloma.2 In the study, KRd was compared with carfilzomib plus cyclophosphamide/dexamethasone. Additionally, Shain said that the FDA approval of daratumumab (Darzalex) in combination with bortezomib, melphalan, and prednisone (VMP) may not have a high clinical impact but has opened the door for future approvals with the CD38 inhibitor, which will be a valuable asset moving forward. In an interview during the 2018 OncLive® State of the Science SummitTM on Hematologic Malignancies, Shain, an assistant member at Moffitt Cancer Center, discussed the evolution of treatment for patients with newly diagnosed multiple myeloma and how physicians are leveraging data with CAR T-cell therapy and minimal residual disease (MRD) negativity to improve outcomes. OncLive: How has treatment for patients with newly diagnosed multiple myeloma evolved? Shain: There are certain things that are now standard of care, and new therapies and interventions we can utilize to improve outcomes. There is also the sequencing of therapy in transplant-eligible patients versus more reduced therapy in patients who are ineligible for transplant or high-dose therapy. [It is also important to think about] what maintenance therapy does and how it has changed how well we can take care of our patients in this setting. What agents have emerged as a standard of care? We think of lenalidomide, bortezomib, and dexamethasone as the primary triplet therapy of choice. Now, we’re talking about carfilzomib as a new proteasome inhibitor with some very outstanding data looking at response rates. It's a little early to tell if it will replace bortezomib as an upfront therapy. One of the things that we're talking about more is the approval of the first upfront monoclonal antibody therapy: daratumumab in combination with VMP. [Its approval was based on] a very interesting and profound study. Its implications for the United States are a little bit of a question. We don't know what to do with that approval because not many people give VMP in this country. Where did the push for the approval come from? The approval for VMP plus daratumumab really revolves around the fact that daratumumab is such an exciting drug. We want to find ways we can start utilizing it in different aspects of myeloma, not just in the relapsed/refractory setting—which is where it was approved previously. Can we show that adding this monoclonal antibody will benefit our patients upfront? That's the power of the study. Again, its direct application to a United States population is very low, but it really opens the door for its utilization. Hopefully, [it enables subsequent approvals of] daratumumab and other combinations that are much more aligned with our current strategy, such as lenalidomide and dexamethasone (Rd), or RVd. What studies are examining those combinations? Those studies are ongoing. There is daratumumab plus bortezomib and low-dose dexamethasone (Vd) and daratumumab plus RVd versus Vd. We just finished a phase II trial called the GRIFFIN study. We'll see how the data mature. These are going to be exciting studies to lead the field forward in terms of quadruplet versus triplet therapy. The hope is that we can introduce the fourth drug without a huge amount of toxicity and gain a lot more in terms of response rates, depth of response, and MRD negativity. I want that to translate into longer outcomes and control of disease for our patients. How do you determine what your optimal sequence is, and how will subsequent approvals impact that? It's a question we have all been asking as we have all these new therapies. Daratumumab is just one of them. Elotuzumab (Empliciti) and ixazomib (Ninlaro) are therapies that have been introduced in the relapsed setting. How do we continue to utilize these as we move forward from newly diagnosed to relapsed? We have to figure out how to control the disease upfront because that's the best and first time to control the disease long-term. There's very little question that what we do upfront is the first and only chance we have to make this disease go away. We aren't there yet, but that has to be our goal. That's why adding daratumumab to our current regimens will be an important part of how we get there. That does not mean we are going to exclude transplant or exclude maintenance or consolidation. Those are questions we have to address and things to think about. Putting it upfront doesn't mean we've lost it as a drug we can use in the relapsed/refractory setting. Could immunotherapy have a role in the upfront setting? Absolutely. CAR T cells, specifically [targeting] BCMA, is the goal right now. It's only used in the relapsed/refractory setting, but the results we see in those heavily pretreated patients highlight the fact that we can hopefully continue to move it forward. We've made movements to get that tool used earlier in therapy. There are studies being designed today to compare a triplet of choice to CAR T-cell therapy. It's been proven that it's beneficial and safe in the relapsed/refractory setting––which we're still working on––but is it better than something else earlier in therapy? We have to worry about the toxicity and financial burden, as well. What does this mean for stem cell transplant? If we remove CAR T cells from the story, stem cell transplant still remains a critical part of how we take care of newly diagnosed, transplant-eligible patients. The data continue to mature in terms of survival benefit. In terms of progression-free survival (PFS), we see that we're improving outcomes. We're improving depth of response by utilizing transplant in our sequence of induction, transplant, maintenance, or consolidation and then maintenance. Without that, I don't think we have the same ability to [maximize depth of response]. That doesn't mean that CAR T can’t someday take the place of high-dose therapy or maybe consolidation. Those are all questions we have to ask and studies we have to design. Today, it's another line of therapy with a little extra toxicity here and there for lots of patients. Hopefully, we can someday get rid of transplant. What does MRD negativity mean in clinical practice? MRD in the context of myeloma is an important endpoint. We're still learning what it means. What it means to us now is that we can barely measure any disease––less than 1 in 1 million cells (1 x 10-6). Right now, it also suggests that people who achieve MRD are going to do much better in terms of PFS and outcomes. We don’t know where and how we achieve that and how long it needs to be [observed]. At Moffitt Cancer Center, we’ve made it part of our everyday use. If patients come in and they're transplant eligible, we believe MRD or depth of response is our goal. It tells us a lot. You have to remember that not everybody gets to that level. You're still measuring a percentage. That's where we hope that maybe these quadruplet therapies or CAR T cells can get us to these depths a little more frequently. Looking back at the 2018 ASCO Annual Meeting, 2018 EHA Congress, and ahead to the 2018 ASH Annual Meeting, are there any data you are excited about? Most of the studies we saw were coronations, or at least telling us, that we're doing the right thing. We know CAR T is working; we know there are some exciting data, although there is a long way to go. One interesting study was phase III data looking at elotuzumab plus pomalidomide (Pomalyst) and dexamethasone versus pomalidomide/dexamethasone in the early-relapse setting. Data showed that elotuzumab might have a place even in the relapsed setting with another immunomodulatory drug. That’s important because certain drugs get left out a little bit, and elotuzumab is one of those. Maybe the data weren’t provocative, but it provides another avenue for patients. Venetoclax (Venclexta) is interesting, but we're still working on how we translate that into our therapeutic armamentarium. The standard of care for newly diagnosed patients is generally a triplet. If they're transplant eligible, please send them to someone who can transplant them. We don't know if everybody is a transplant candidate, but give them that option. Maintenance therapy is a standard of care. Every patient is a little different, so make sure you tailor therapy appropriately. Always make sure that you're looking for someone to help guide that a little bit. Most importantly, all these changes are made because of clinical trials. A trial-eligible patient who doesn’t mind travelling should be enrolled on studies. Zimmerman TM, Griffith KA, Jasielec J, et al. Phase II MMRC trial of extended treatment with carfilzomib (CFZ), lenalidomide (LEN), and dexamethasone (DEX) plus autologous stem cell transplantation (ASCT) in newly diagnosed multiple myeloma (NDMM). J Clin Oncol. 2015;33(suppl 15; abstr 8510). doi: 10.1200/jco.2015.33.15_suppl.8510. Gay F, Scalabrini DR, Belotti A, et al. Updated efficacy and MRD data according to risk-status in newly diagnosed myeloma patients treated with carfilzomib plus lenalidomide or cyclophosphamide: results from the FORTE trial. In: Proceedings from the 2018 EHA Congress; June 14-17, 2018; Stockholm, Sweden. Abstract S109.